I feel blessed that I recognized my own attractions. However, people don’t seem to be freakin out so much about how WNBA player Brittney Griner came out just last week, and as the Atlantic points out in their article, What the WNBA can teach male athletes about coming out and being allies, there are plenty of ‘out’ players in other sports. This is a great opportunity to celebrate the people that have already been serving as strong role models. Sexuality educators, parents and teachers can point to all of these individuals as people to potentially look up to. 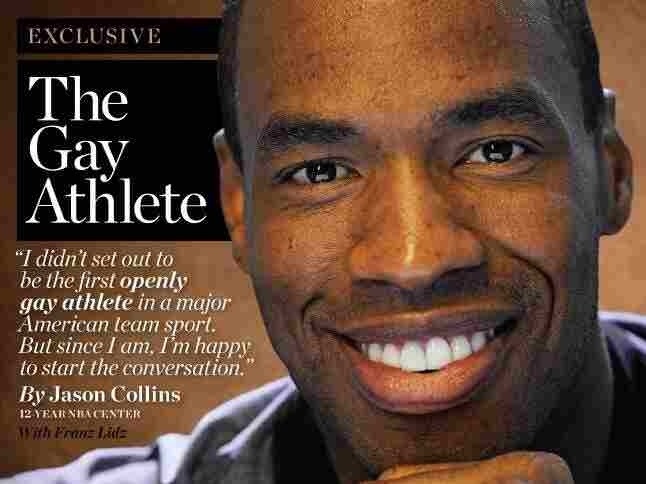 What I think is great about Jason Collins’ story is that he, and Brittney, are both communicating the message that you should be who you are, and not have to pretend to be someone that you’re not just to succeed in a particular career.